“When she and Sandburg first met is a matter of some debate. Some believe it was in 1958, during the filming of Some Like It Hot. Others say it was two years later, when an 82-year-old Sandburg, working in Hollywood at the time, was temporarily given the actress’s dressing room to use as an office. Monroe introduced herself and the two immediately hit it off. The two would meet up again at the New York apartment of photographer Len Steckler in December 1961, then a month later at the home of Hollywood producer Henry Weinstein, with photographer Arnold Newman and others in attendance. A Look Magazine tribute to Monroe which Sandburg had written after her death was accompanied by photos from both photographers. 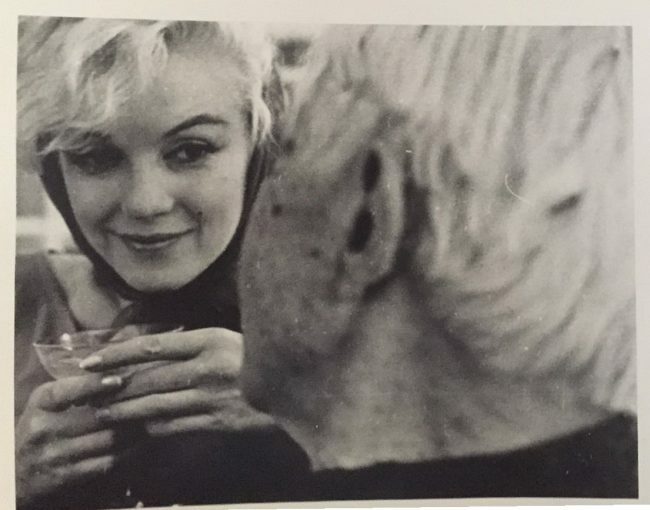 What Monroe found in Sandburg was someone who could see beyond her glamorous image and like her for herself. 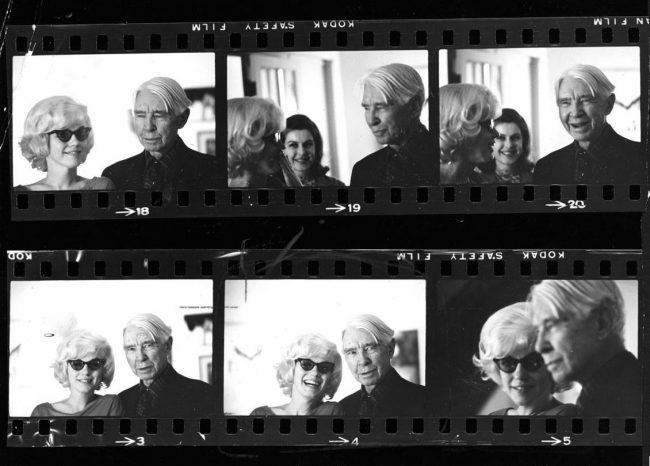 Sandburg, for his part, was impressed with the actress’s down-to-earth personality, citing ‘a vitality, a readiness for humor.’ He also appreciated that Monroe, like himself, had come up the hard way.